Web browsers have always been great for viewing sites and even streaming contents, but not good for downloading files. You might experience slow download speeds and your download can break anytime when downloading files using browsers. If you download GBs of data daily including movies, videos, music, books and software, you will need a good download manager program. A good download manager program can speed up the download process, gives you the ability to pause and resume downloads whenever you want. Also, it allows you to set priorities for your downloads and run multiple downloads at one time. In this article, we are going to show you a list of the top 5 best download manager software for Windows. Pick any one of them according to your choice and make downloading files from the Internet much easier. JDownloader is my favourite and many users rate it as one of the best download managers for Windows PC. It is a free, open source download management tool with a massive developer community. Developers can customize and make changes to the source code and contribute the changes to the community. The free download manager makes downloading files easy and fast. You can start, stop or pause downloads, set bandwidth limitations, auto-extract archives, multiple file downloads, and much more. Its remote management ability lets you manage and monitor your downloads remotely. Completely free to use. You can enjoy all features for free, no ads at all. Provides a set of more than 300 plugins include scheduler downloads plugin. Enables you to save a list of download links as a password protected encrypted file for easily importing again. Supports for popular video hosting sites such as YouTube, Vimeo and more. The user interface seems outdated and not intuitive for beginners. The app is written in Java and you’ll need the Java Runtime Environment to run it. The installer contains adware, so you’ll have to be careful when installing the app. In terms of speed and efficiency, nothing can compete with Internet Download Manager, also known as IDM. It can easily integrate with all the major browsers out there, including IE, Chrome, Mozilla, Firefox, AOL, MSN, and many others. This powerful program enables easy downloading with one click. Just click on a download link in any browser, IDM will take will catch your download and accelerate them. Also, you can simply drag and drop links to IDM, and drag and drop downloaded files out of the app. Internet Download Manager can accelerate downloads by up to 5 times with its intelligent dynamic file segmentation technology. Includes the ability to download multiple files in parallel, pause and resume downloads, faster download speeds, etc. IDM can automatically run a scanner on downloaded files and make your downloads free from viruses and trojans. Supports HTTP, FTP, HTTPS and MMS protocols and works with Microsoft ISA and FTP proxy servers. Not free, users should purchase a license when the 30-day trial expires. 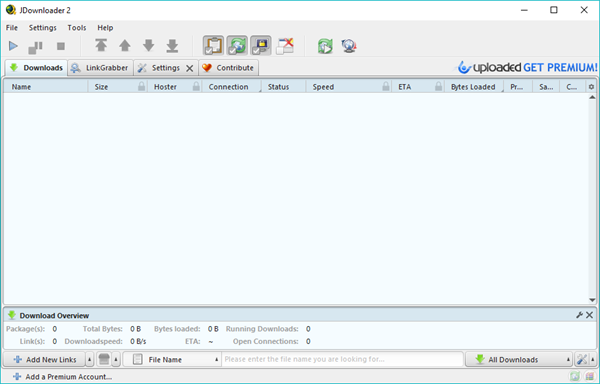 iDownload Manager or iDM is a relatively new download manager software for Windows but comes with many powerful features. It is available on the Windows Store, just click on the install link and the program will be installed on your computer. You don’t have to go through set-up or anything else. iDM can be the fastest downloader manager which can download up to 10x faster than standard web browsers. More features you can expect from this download manager include, batch downloading of files, prioritizing downloads, limiting network bandwidth usage, pausing and resuming of downloads, downloading scheduler with queues, and much more. Completely free to use and has a sleek impressive design. Integrates with most popular web browser like Chrome, Firefox, etc. Restarts interrupted downloads due to network issues, power outages or computer shutdown. Features small file segmentation technology to download files on multiple threads to accelerate downloads. iDownload Manager is only available on Windows 10. 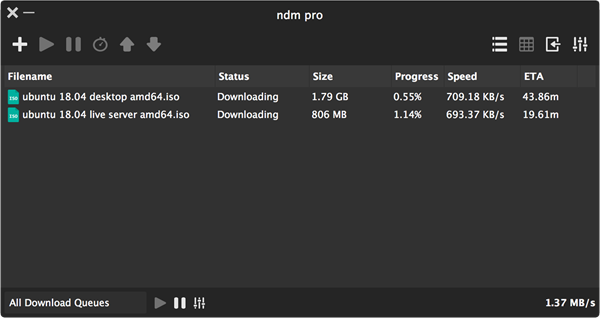 Another best download manager for Windows on this list is Ninja Download Manager or NDM for short. It has a beautiful design that’s simple and intuitive to use. 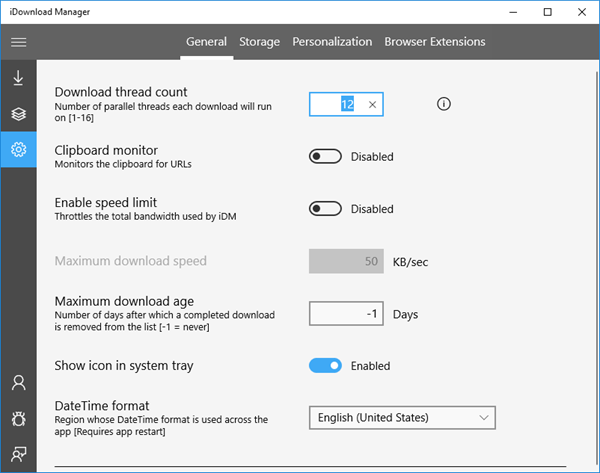 Ninja Download Manager is one of the fastest download managers, which boasts download speeds by up to 20 times using multiple simultaneous connections. It allows users to pause and resume downloads without having to start from the beginning. You can limit the download speed so that you can continue using the Internet while downloads running. Also, you can add downloads to your download list for downloading later. Comes with a modern, compact and trendy user interface. Supports sequential file writing, allowing users to preview an audio or video file before the download finishes. Built-in video downloader that supports for downloading videos from YouTube and Vimeo. Built-in video converter that changes the video format automatically once its finished downloading. It is not free and some users might find it a little pricey. Doesn’t support to download medias on non-popular websites. 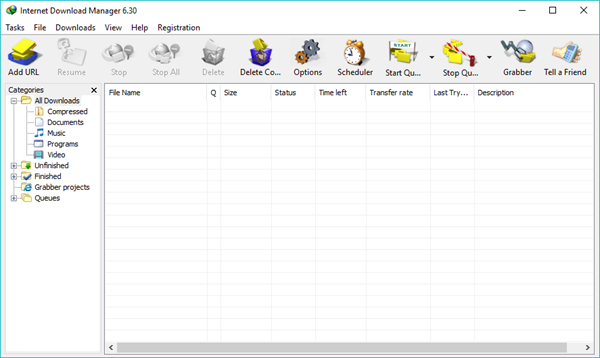 EagleGet is one of the most trusted download managers for Windows PC out there. It is complete free to download and use, and can be integrated to all popular browsers like Chrome, Firefox, Internet Explorer, Safari, and Opera etc. The software can automatically catch download links from web browsers and then download files without any problem. 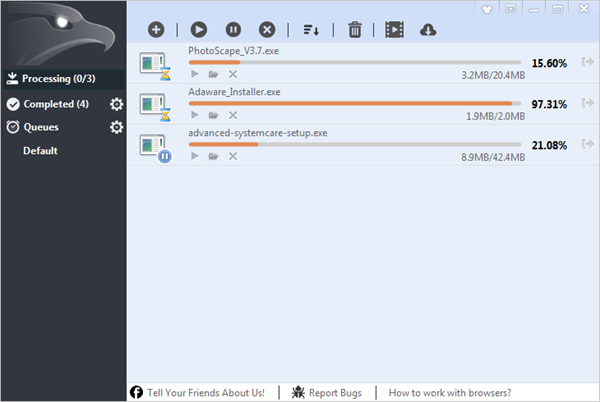 Just like other download managers on this list, EagleGet supports multiple downloads, schedule downloads, the ability to pause and resume downloads, bandwidth allocations, downloading from torrents, and much more. Has a really clean and minimal user interface. Uses advanced multi-threaded technology to speed up connections and downloads. Built-in malware checker to protect users from virus attacks. File integrity verifier to ensure that the downloaded file is genuine and original. You have to agree to see ads or share your bandwidth with others to use this software. The program will force you to close down your web browser upon installation. These are the top 5 best download managers for Windows PC that you can use. We have included both paid and free download managers, just choose the one according to your choice. If you know any other good download manager program, please feel free to share it in the comment section below and we will include it into the list. All-in-one video converter software developed by Gihosoft to help users convert/download videos, edit clips, burn DVDs, transfer to iPhone/Android, and much more.